Peace of mind from security and surveillance. 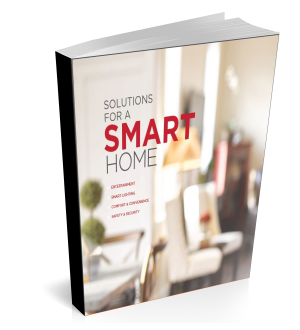 Nothing is more precious than keeping family and friends safe, exactly what smart-home technology provides. Fire and burglar alarms, locks and lights are fully integrated into the brain of your tech-savvy home, keeping you protected and secure every day and night of the year. With a single touch, you can lock every door and arm the alarm system. But that’s just the beginning of what Lifetronic Systems can do for you. Effortless safety inside and out. You can throw away your house keys! Our locks are touch screen or push button, fully integrated so you control them from any web-enabled device. Plumber coming to fix a leaky sink? Simply open the door remotely and lock it when he leaves. If your housekeeper comes once a week, she has her own code to enter your home that only works once, on that day, and for a certain period of time. Cameras record who is at your gate or front door, allowing you to provide instant access – or not – at the touch of a button. They also video-patrol every speck of your property. Outside lights work off the atomic clock, so your outdoor environment is appropriately lighted as days shorten and lengthen. Security cameras & video intercom. 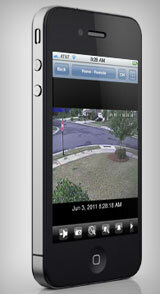 Security webcams keep an eye on your children when you are away from home. When you’re busy making dinner, you can watch your children playing in another room or the baby sleeping in the nursery on the video intercom system. It can also broadcast warnings throughout the house. When your children arrive home from school, a text is sent to you as soon as they punch in their code. In fact, if any door opens while you are away, you will be notified. When you open your garage door at night, designated indoor lights illuminate, creating a bright pathway to your kitchen. Traveling? Program lights, TVs, and music to go on and off throughout the house, creating an at-home ambiance that burglars would rather avoid. If your safe is breached, you – and the authorities – are immediately notified. You can even see your house from your favorite mobile device whether you are stuck in traffic or relaxing poolside thousands of miles from home. If the unthinkable fire alarm goes off in the middle of the night, warnings play over the intercom system waking family members, indoor lights go on, lighting your way to safety, and the climate control system powers down to keep smoke from circulating throughout the house. Lifetronic Systems even designs high-security rooms to keep your valuables safe. The rooms feature finger scanners, so they open only with the finger swipe of designated homeowners. No keys to hide or codes that can be breached. Wireless Security & Surveillance Systems – Local Service Areas: Lifetronic Systems is located in Westport, CT, and services all of Fairfield County, CT, and Westchester County, NY, including: Westport, Weston, Wilton, Easton, Redding, Fairfield, New Canaan, Darien, Greenwich, Stamford and beyond. We also travel beyond Connecticut and New York upon request.